I am a summer baby, born on the cusp of July and August, and I relish the sun. Or at least, I used to. It's funny how too much of a good thing can change you. Since moving to live in a desert climate where the sun beats down relentlessly six months of the year (and lurks around for most of the remaining months too), I am less enthralled. The same cannot be said for my love of reading. Of books, I can never get enough. 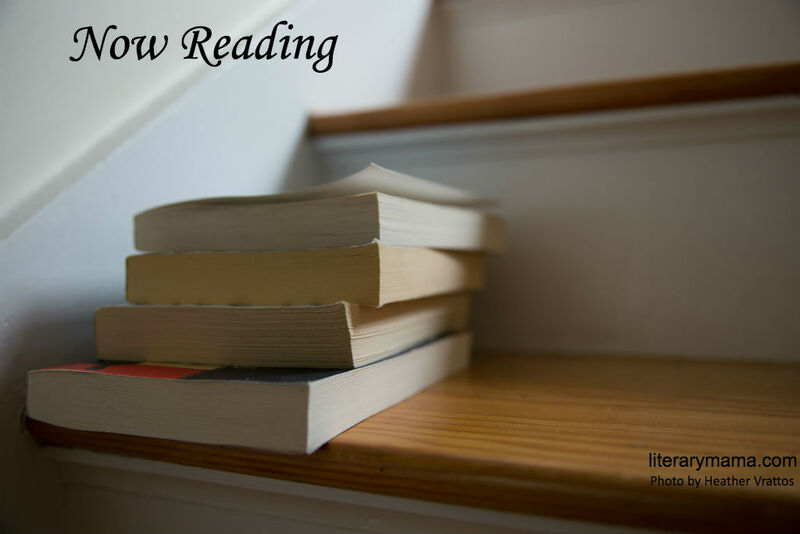 That's why I enjoy putting together these monthly recommendations from the Literary Mama staff. This month we have three more gems to whet your appetite. 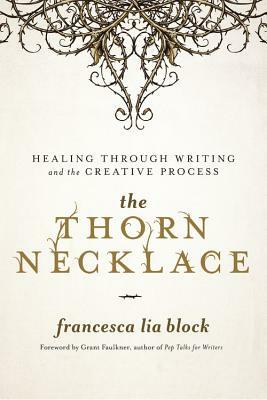 Felicity Landa, Fiction Editor, introduces us to a great book about writing: "Francesca Lia Block's lyrical and engaging memoir, The Thorn Necklace: Healing Through Writing and the Creative Process, is an enriching and insightful read advertised as a memoir driven guide to writing. Block's signature lyrical prose takes the reader on a journey through her complicated and heartbreaking relationships, the illness and death of her father, and the beauty she has created from her pain. Within the captivating and sometimes haunting stories of her life, she weaves together 12 questions that provide a step-by-step guide on how to write a book. From building successful and three-dimensional characters to the climax and resolution, Block's wisdom as a teacher and writer of over 25 works of fiction is truly immeasurable. Block has spent her life transforming her heartbreak and insecurity into the magical realism that she's known for, and she's been incredibly successful in both her career and her healing process. 'For me, love and writing have always been one in the same,' she writes in her chapter entitled Rough Magick. 'They are often birthed out of pain, or some kind of sacrifice.' When I started reading, I didn’t know what to expect, but I found myself stepping out of the book with a better understanding of writing and how to transform my personal pain into my craft. I truly admire Block's vulnerability in this memoir. Her willingness to share the darkest parts of her life, those that gave her a literary voice, gives the reader an enriching connection with her. This is a memoir for writers, artists, fans of Block's beautiful books, and anyone searching for meaning within their pain." 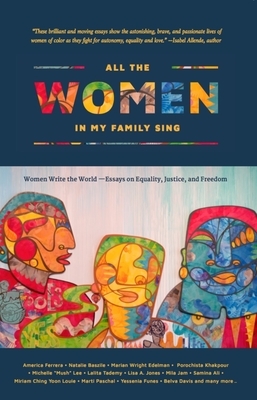 Kelsey Madges, Profiles Editor, recommends this eye-opening anthology: "I recently finished All the Women in My Family Sing, a collection of essays edited by Deborah Santana. Much of what readers need to know about the book is right in the subtitle—Women Write the World: Essays on Equality, Justice, and Freedom. The 69 essays in the collection are brief but powerful. All of them are written by women of color, exploring and reflecting on life in the early 21st century. The writers give voice to the realities of their histories as well as their daily lives. One of my favorite passages from the book can be found in 'The Color of Transparency,' by Shyla Margaret Machanda: 'Be concerned with the color of transparency instead of the color of one's skin. Be concerned with who we all are—really, truly, deep within. Search for honesty in the answers given, in action and deed. See my heart on my sleeve and the love and joy within me that strengthen me each day. My color is not how you will know me. Instead, look further and you will see. Look deeper. That is how you will know me.' While I'll always have more work to do in this regard, reading All the Women in My Family Sing helped me to peel back the layers of my own privilege and assumptions. I read about difficulties I struggle to imagine. I also read about relationships and feelings that were infinitely relatable. The most important takeaway from this collection is how very similar we human beings are, regardless of age, race or religion. I heartily recommend it." 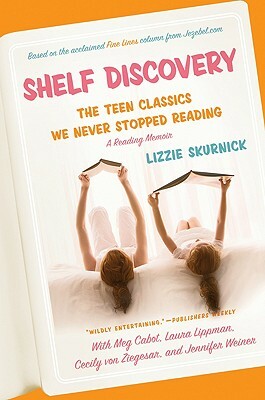 Kim Ruff, Creative Nonfiction and Fiction Editorial Assistant, read an unusual book—about reading: "I love the way that Lizzie Skurnick immediately invites readers in the introduction of her book, Shelf Discovery: The Teen Classics We Never Stopped Reading, to ask themselves which book made them a reader. She then reflects on this question for herself, which begs readers to pause and reflect on the book(s) that made them a reader as well. I think each of us has fond memories of books that we read in our youth, but have you ever stopped to pinpoint which book made you a reader? One book that sparked my love for reading is Stephen King's Firestarter. From that point forward, I became obsessed with reading everything by Stephen King and other books in that genre, and then my taste expanded further because I had found a love for reading. What I enjoy about Skurnick's book is her casual, witty, and sentimental look back at her adolescent reading collection with a newfound perspective—that of an adult. She notes that while some people would consider rereading books from their youth a 'waste of time,' she asks readers to consider, instead, how much more we'd appreciate those books as adults, assuming we are better critical readers and can now easily pick up inferences. Another great feature of Shelf Discovery is that Skurnick's teenage book list is way different than mine. Although many of the books she read are well known to me, I never got around to reading them because, well, there's just so many great books and only so much time in an adolescent's day. I enjoyed reading about these books from her point of view—how she remembers the story from her youth and her thoughts now. There's no doubt that Skurnick's book will inspire readers to reflect on the books that shaped their youth, and possibly even reread a few." We'd love to hear what books made you a reader. Please tell us in the comments below. I read The English Patient, by Michael Ondaatje, for my book group years ago. The fact that Ondaatje is also a poet imbues his writing with a lyricism that I find compelling. When I presented the book to my group, I began with the sound track from the film. One member exclaimed: "that's a Hungarian lullaby with the words 'my beautiful boy' in it." The room stilled in the recognition that the protagonist, burned beyond recognition, was being comforted by a lullaby that most viewers would never appreciate. Brilliant! Now this summer, my favorite is "Warlight," also by Ondaatje. It tells the story of two children left by their parents after WWII in the care of a motley crew of men while as it turns out, the mother is continuing her work as a spy. The book reminds me a bit of The Goldfinch, a bit of Dickens, and a bit of The Man from Moscow. There is mystery, longing for family, and coming of age all beautifully women together. I highly recommend it.